This month, artist Jim Campbell will be taking over New York City. First, an exhibition of new works by Campbell will be on view at the at Bryce Wolkowitz Gallery in Chelsea from March 7–April 19, 2014. Titled New Work, the show will focus on Campbell's latest series of sculptural light installations. 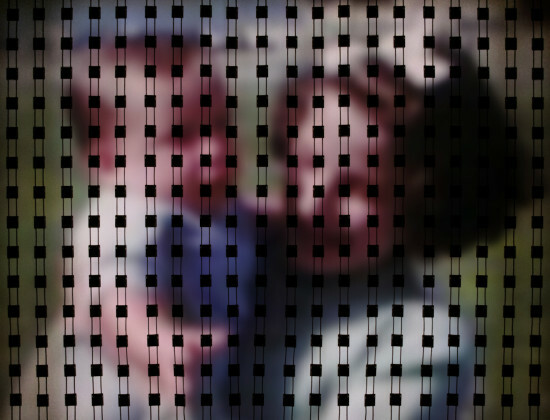 The exhibition at Bryce Wolkowitz Gallery coincides with another expansive New York exhibition of Campbell’s work at the Museum of the Moving Image. That exhibition, Jim Campbell: Rhythms of Perception, will be on view from March 21 through June 15, 2014. In addition, the Joyce Theater will present Constellation, a collaboration between Alonzo King LINES Ballet and Campbell, from March 18–23, 2014. The performance will feature an installation comprised of 1,000 light spheres programmed in synchronized interplay with the dancers. Jim Campbell began his career as a filmmaker before switching to interactive video installations in the mid-1980s. He uses LED technology to create an illuminated sculptural environment to record the presence of time in relation to light space and the human condition. The viewer’s perception is constantly shifting through pieces that create acts of observation, reflection, and engagement in an all-encompassing pictorial realm, Campbell deconstructs these grand optical illusions by revealing the mechanisms at play. A new permanent work by Berlin-based artist Aram Bartholl at the Thomas Leeser-designed Museum of The Moving Image in Queens, New York bridges the gap between digital and physical space, challenging the intangibility of today’s world of cloud computing and instant downloads by adding a sense of materiality to data-transfer. Engaging a medium that is quickly becoming as outdated as the Laser Disc, DVD Dead Drop, a slot-loading DVD burner embedded in the exterior wall of the museum is ready to burn you a hand-picked digital art exhibition, media collection, or another piece computerized content curated by Bartholl. Just insert a blank DVD-R, and let the art begin. 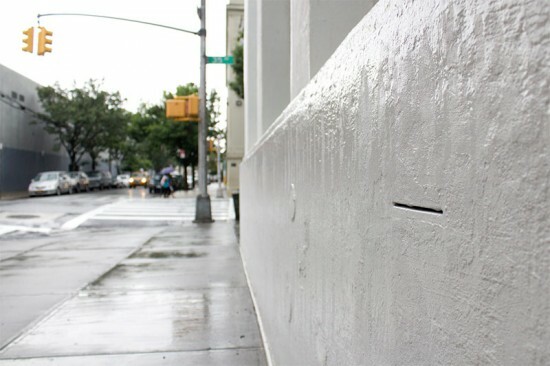 DVD Dead Drop is a continuation of Bartholl’s original Dead Drops series, which brought peer-to-peer, offline file-sharing to public spaces around the world through unauthorized USB drives cemented into walls, poles, curbs and houses. While Dead Drops was a read-and-write system, allowing users to upload and download content to the drives, DVD Dead Drop is a one-way street, curated, automated, and prone to technical problems. (The museum notes that if your DVD does not burn properly, don’t worry, a fragile piece of machinery like a DVD burner is bound to run into some problems when it is kept outdoors 24-7.) Through May 7, the installation offers "Vertical Video," a one-hour collection of amateur videos taken with a vertical aspect ratio. Check here to see what may end up on your DVD, and here to find out where you can find a Dead Drop near you. It was an event that was on message and on time. 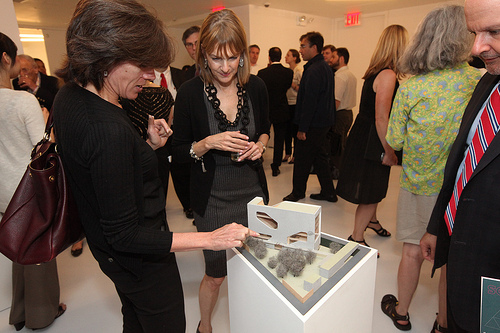 With the unfortunate passing of Mayor Bloomberg’s mother this week, officiating duties for Design Commission’s Twenty-ninth Annual Awards for Excellence in Design fell to Deputy Mayor Patricia Harris and Design Commission president Jim Stuckey. As the invitation noted, remarks were scheduled to begin at 6:15PM, and Harris started remarking on the dot and kept to the script, reading directly from it in fact, with few off-the-cuff remarks. “Short and sweet,” was how one audience member described it afterward, with an Oscar-worthy combo of Harris and Stuckey--like an urban design version of Hathaway and Franko, without the awkward flubs. Indeed it was hard to avoid Hollywood references at an event held at the same locale where W.C. Fields and the Marx Brothers got their start. At the Museum of the Moving Image--itself one of the evening's winners--the blue felt walls of the main screening room held a capacity crowd in their embrace. 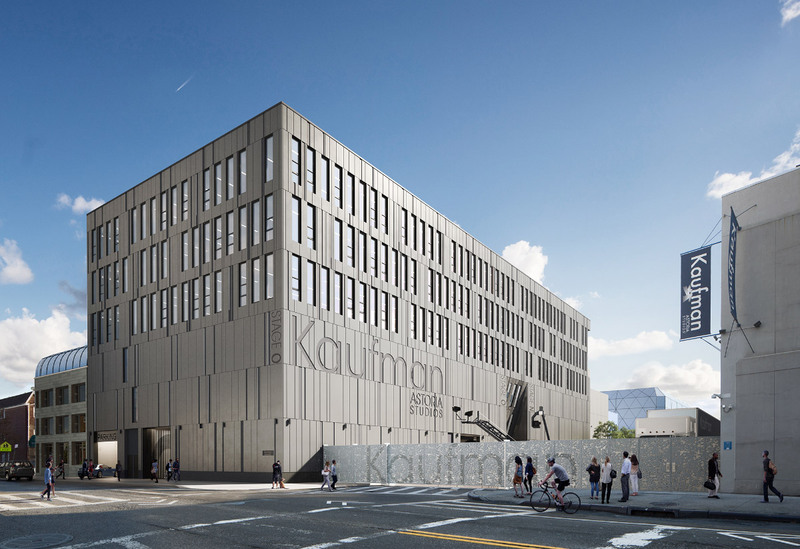 When the museum’s design team Leeser Architecture and Karlssonwilker were announced, the otherwise restrained crowd, who had been trying not to show favoritism, sustained its applause a bit longer. And in the case of the museum, who could help it--the place is beautiful. At the reception afterward, a logjam of architects ensued. Steven Holl bumped up against Richard Dattner. WXY's Clair Weisz talked shop across from Van Alen’s Olympia Kazi, who held court with characteristic effusiveness as Landmark Commissioner Robert Tierney enjoyed the garden. Back out on the street, the ever-glib Astorians went about their business, unaware of the high design goings-on inside.